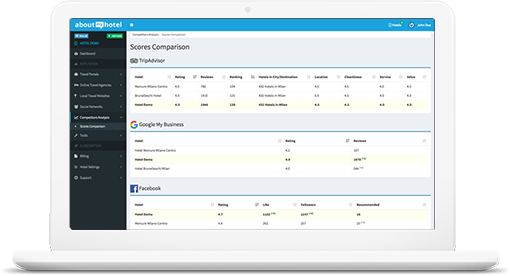 A practical and complete application to monitor, analyse and manage your hotel online reputation. 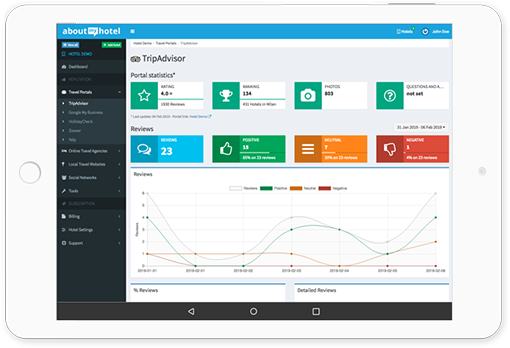 The smart and innovative solution to manage your hotel online reputation! Make the most of it using our tool to collect the reviews, pictures and video of your hotel! 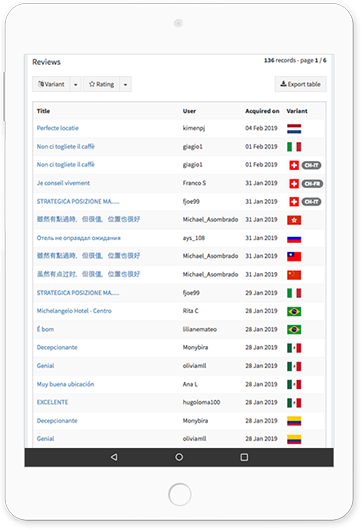 AboutMyHotel analyses reviews of your hotel sorting them by source, period, language, positive, negative and neutral. AboutMyHotel allows you to compare your hotel with other competitors on the main travel portals and social networks. 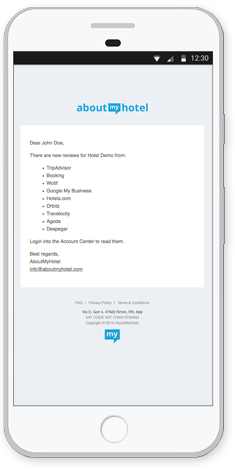 AboutMyHotel sends you message notifications via email automatically as soon as a new review, image or video of your hotel is published!